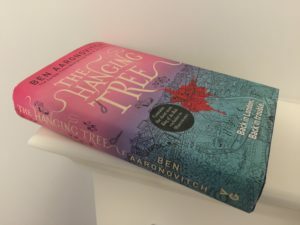 The 3 November 2016 saw the release of The Hanging Tree, the sixth novel in the Peter Grant series. Coming almost two years after the publication of the last novel, Foxglove Summer, the anticipation for this novel had built up to epic proportions. And I am very pleased to say that I was not disappointed - I loved this book. I am also blessed to have my own hard back copy signed by the author himself! The story begins with the death of a teenage girl from an accidental drug overdose in one of the most prestigious addresses in London - One Hyde Park, famed as the most expensive apartment block in Britain. Peter Grant is soon on the scene because the dead girl is a friend of Lady Ty’s daughter and Lady Ty is calling in the favour Peter owes from ‘Whispers Underground’. It soon becomes apparent that there are other links to the magical world beyond the presence of the daughter of a River Goddess and that the Faceless Man has an interest. The Faceless Man / Lesley storyline is cleverly developed in this book to the extent that his identity is uncovered. In addition an ancient work by Isaac Newton, a third Principia, comes to light which brings more practitioners from other traditions to London in search of it complicating matters still further. I love that in the apparent chaos in this book Nightingale is cool and commanding, in his element in the middle of the action and a true leader. Even Peter seems impressed with his tactical control over the final operation as it unfolds. Equally I enjoyed the higher order spell casting from Peter showing that his apprenticeship is progressing. The flow of this book is elegant and well-paced circling back to One Hyde Park for the final confrontations. While I would love to have more description of what Nightingale was up to in this book the writing was just perfect from Peter’s point of view making me feel tense and isolated along with Peter in wonder at where Nightingale was and how he was doing. In the final chapter after seeing Nightingale all boyish and upbeat after the action and looking to the future, the book actually ends on something of a melancholy note, however, Peter is young and cunning and determined so I have hope that he will find a way to overcome all obstacles. 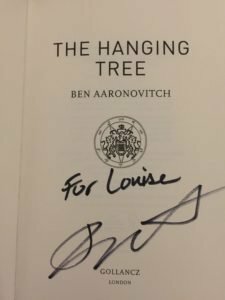 Aaronovitch combined many elements of previous books such as Punch, the Rivers (past and present), stakeholder engagement, Lesley, Faceless Man and so on to great effect in this sixth novel. You can see the strands from the earlier books starting to coalesce but there is a still a way to go before it all comes together ensuring that I too am looking to the future and will be waiting impatiently for the next in the series. One of the few characters who don’t feature is Jaget Kumar of the British Transport Police (BTP) but if you get the UK Waterstones’ edition you get an additional treat of a short story in which he features at the back of the book. Aaronovitch also wove numerous references into the book, some more obscure than others, which just added to my enjoyment. I bet that when I re-read this (and I can guarantee I will) I will spot or recognise even more than I did on the first read through. There is even a brief conversation about the Hogwarts Houses which will no doubt trigger discussion between fans. 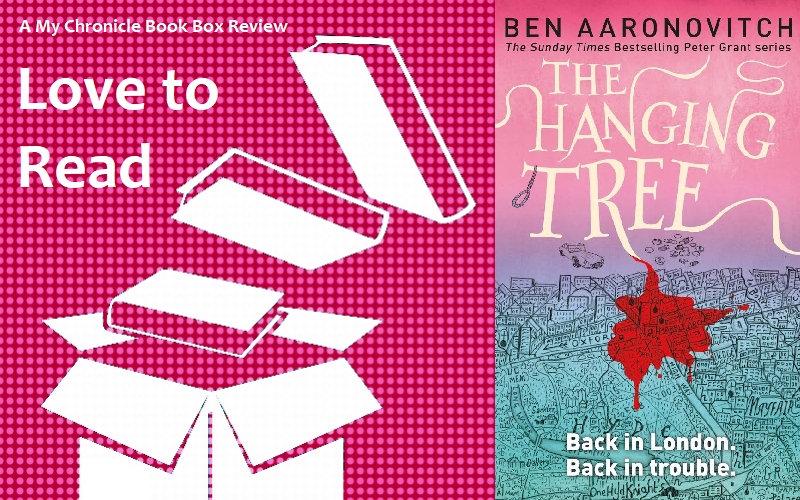 I loved this book and just can’t get enough of this series, everything I have grown to love about Aaronovitch’s writing – intelligence, humour, architecture, great dialogue, love-of-London, well-crafted plots, I could go on - was here. If there were any flaws in this book I’m afraid I was too busy enjoying it to notice! ‘They know Peter Grant the dashing constable about town,’ said Nightingale. I wouldn’t have been able to wait either! I hope you enjoy it too ?